Soft, warm, and never itchy, Merino wool is Mother Nature's miracle fiber. 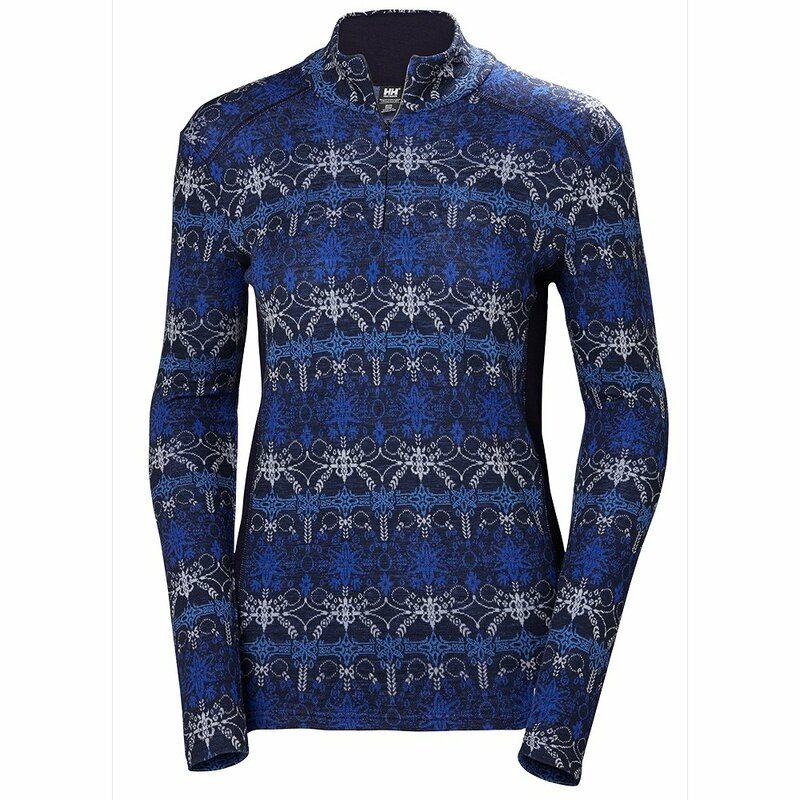 Made from 100% Merino wool, the Helly Hansen Wool Graphic Women's ½-Zip Mid-Layer blends the technical capabilities of wool with fun graphics to create a piece that will transition from the slopes to après ski with ease. Designed for activity, the HH Wool Graphic is constructed with flat locks seams, which are far more comfortable against the skin than traditional seams. The high collar provides an extra dose of protection from windburn, and the generous ½ zip makes getting this versatile piece on and off a breeze.